CHRISTAN Co Founders Chris and Stan Pietraszek, and family member Chris Pietraszek attend Alpaca Shows throughout the year, they enjoy meeting and welcoming newcomers into the industry, offering helpful guidance and advice. CHRISTAN Farm Co Founders Chris and Stan run Craft classes from the Where Chris takes participants on a wonderful craft journey, you don’t need to own an Alpaca to join in the fun! See more about Craft classes. 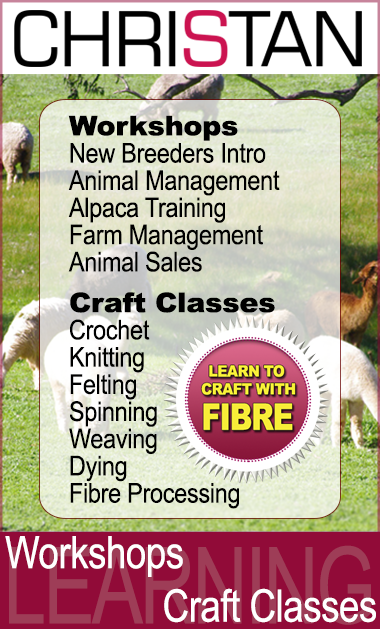 For those that are interested in the Alpaca farming industry, CHRISTAN Farm Workshops, can be tailored to suit any individual needs. The Whiteman Park Autumn Show and Fiesta runs over two days for the general public. The Fleeces are judged before the show begins. Animals are usually judged in the Show Ring on the Saturday, The exhibits for Best of Colours and a Fashion Show are usually held on the Sunday. 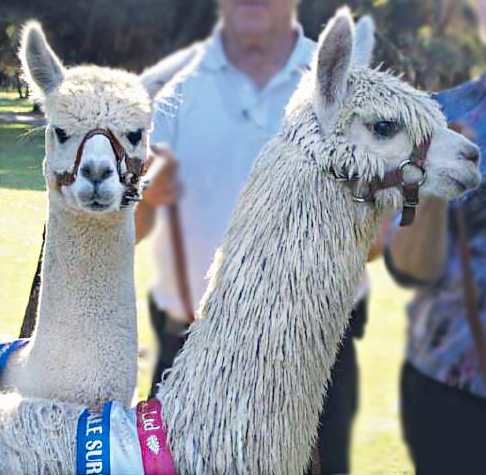 The Gidgegannup Small Farm and Field Day Alpaca Expo is a 1 day animal show. Western Australia’s largest colour based show. An extensive display of animals across many colours and breeds. This is a 2 day show. The Royal Agricultural Show is a large and impressive show of animals and fleeces. The Royal Agricultural Show also draws the attention of breeders Nationwide. There are various other shows in the South-West of Western Australia where a number of breeders showcase their beautifuil animals for general public interest.